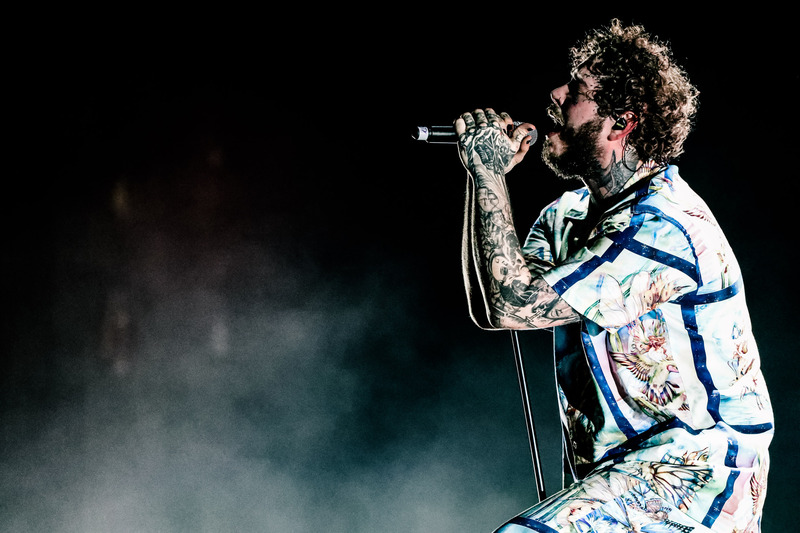 Abu Dhabi, UAE – November, 2018: Billboard record-breaking American singer, songwriter and producer, Post Malone took Abu Dhabi by storm this evening as he kicked-off the most anticipated weekend of the year at du Arena, Yas Island, performing as the first headline act of the 2018 Yasalam concerts – brought to you by du Live! and powered by Huawei. 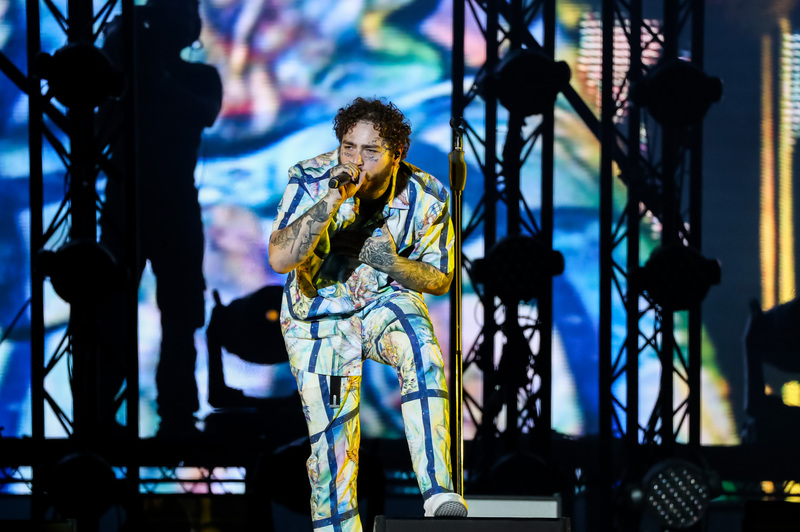 The night was still ‘Too Young’ when Post opened his incredible set with one of his biggest radio hits, titled the same, to an arena filled with racing heartbeats and vibrant purple and blue stage lights that flared like ‘Candy Paint’, illuminating the exuberant faces of the thousands of fans in attendance at du Arena who were screaming the rapper’s nickname, ‘Posty’. Drawing choruses of cheers from the crowds, the certified quadruple platinum singer songwriter and producer then went on to perform his chart-topping hit ‘Better Now’ which shattered streaming records and landed him a number 3 on the Billboard charts. The charismatic megastar continued to keep du Arena alive with energy during a live rendition of the Billboard award winning track, ‘Psycho’ which had the crowd hanging on to each syllable of the track, singing it back to the Rockstar. Post continued to delight fans, going on to perform ‘Candy Paint’, ‘I Fall Apart’ and ‘Paranoid’. Malone then went on to strip the set back for one track, performing an acoustic rendition of ‘Stay’, where he slowed the pace down and sent the crowd swaying. In a move that sent shock waves across the crowd, Post then introduced a surprise guest, none other than Moroccan rap legend, FRENCH MONTANA, who joined Post on stage to blast out smash hit, ‘Unforgettable’, before Malone shook the stadium with fan favourite, ‘Rockstar’. Wrapping up the incredible set with a momentous final track, Malone performed ‘Congratulations’ from his album ‘Stony’, leaving the crowd cheering for more. His performance was no ‘Deja Vu’ to the throngs of adoring fans who had the chance to swipe up their experience and get up-close and personal with their favourite R&B singer, granting them the best possible access to the megastar. 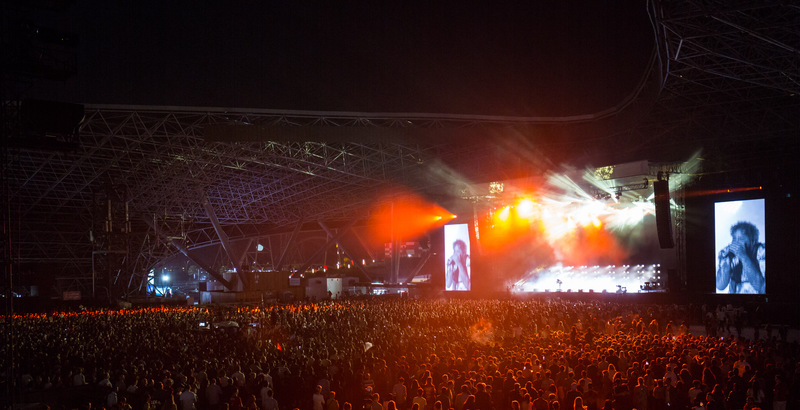 Post was complimentary of his time in Abu Dhabi, telling the crowd he was loving his first visit to the Capital and that so far he was having a ‘kick a$$ time’ and that they were the ‘best crowd in the universe’, giving them a pep talk inspiring enough to encourage any young musician to follow their dreams. The night didn’t end until ‘Posty’ had the chance to give Golden Circle fans, who had access to the best possible experience, one last rush of adrenaline as he ran past handing out high fives to his new favourite crowd. From headlining superstars, to stars on the rise, Abu Dhabi also witnessed thriving musical talent from across the GCC as the finale of the fifth edition of the annual Emerging Talent Competition took place in A’l Bahar at the Corniche this evening. The talented finalists, made up of Molham Krayem, Fafa and Ghaliaa, took to the stage to fight for the right to be crowned ETC 2018 winner, one last time before the judging panel, including Mark Abou Jaoudeh, Oliver Wood, Reiner Erlings and Rania Hamadeh made their decision. The unforgettable showdown, which revved up the Capital with homegrown talent, concluded Fafa the 2018 winner of the Emerging Talent Competition. As celebrities, race-goers and music fans flock to the Capital this weekend, Flash Entertainment has extended the feeling of luxury with the introduction of Super Taxis. Easily booked using the Careem app, the Super Taxi experience will ensure festival guests can be transported to their desired location across the city in a luxury taxi, including Lamborghini, Maserati, Corvetti, Bentley, Rolls Royce and Mercedes models. As night one draws to a close, the ultimate weekend will continue to unfold over the following days with the Canadian Grammy Award winner and Starboy, The Weeknd, set to light up the crowd on the 23 November with a selection of his chart-topping hits. Ensuring Saturday’s performance is an unmissable as ever, UK hitmaker and ‘Stay With Me’ singer, Sam Smith will deliver a powerful performance, true to his reputation as a global superstar. 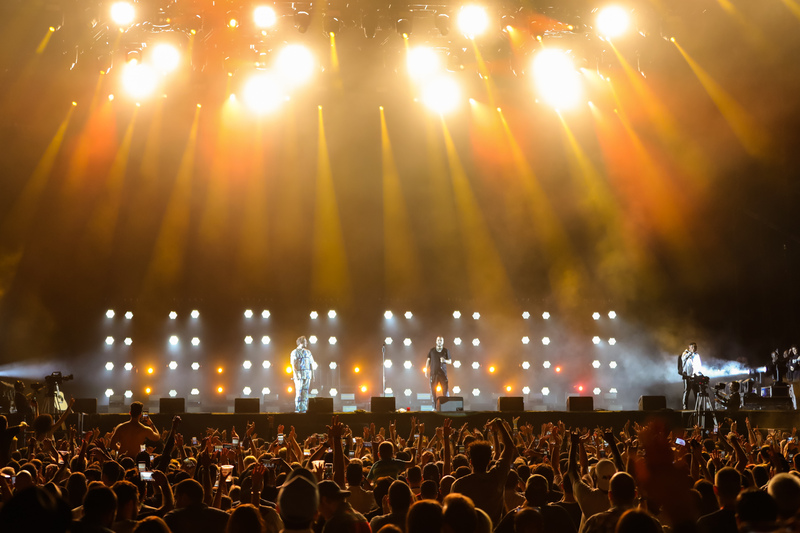 The landmark 10th edition of the unmissable Yasalam After-Race Concerts brought to you by du Live and powered by Huawei will come to a close on Sunday evening as legendary Californian rock group Guns N’ Roses take to the stage, promising to put on a ‘One in a Million’ show. Music lovers will be treated to an outstanding array of activities within The Village area at the du Arena, as they prepare for the excitement of the concerts. A tasty selection of food and beverage options will be available, along with artist merchandise stores for guests to purchase memorabilia before the show. The Village is open every evening. The race will be held at Yas Marina Circuit from Friday 23 November to Sunday 25 November. For race tickets visit www.yasmarinacircuit.com.